Unique Moments Photography from Gig Harbor Washington captured this wedding at the seventh Day Adventist Church in Edmonds. The couple and the families were awesome to work with And Edmonds is one of Washington's hidden Gems. Great town. 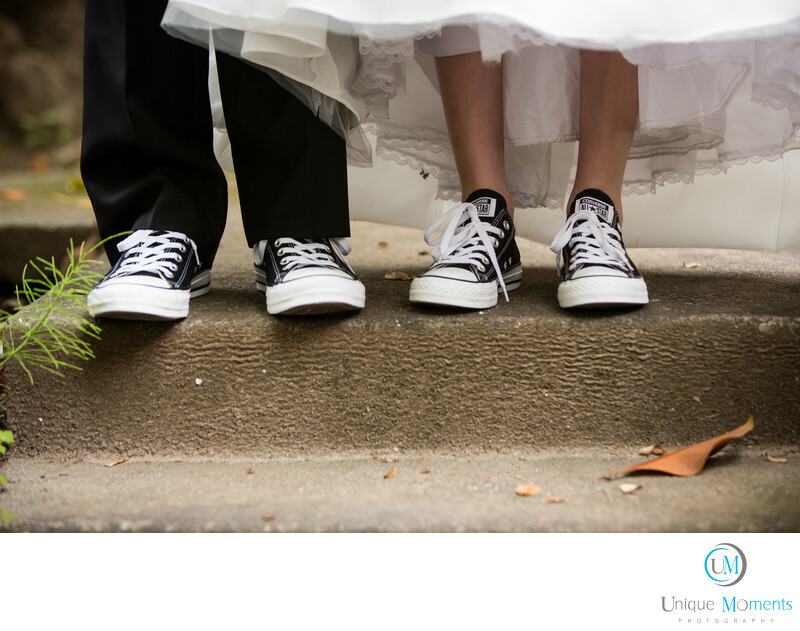 We loved the converse tennis shoes the Bride and Groom decided to wear. the entire bridal party was ready for anything as they all wore the same style shoe.We had to capture the Tennis shoes. Fun Idea thats not expensive and looked great in the photos. Location: 8625 196th St SW Edmonds WA 98020.